…A Latino employee at CVH has reported what appears to be retaliation by CVH [Central Valley Hospital] for CP’s [Community Party’s] column. Numerous CVH and Blue Hills Hospital (BHH is a subsidiary of CVH) workers have come forward since the column appeared. Two anonymous Latino CVH staff members, who we’ll refer to in this column as Employee X and Employee Y, told us stories similar to the ones that we heard from Rosa Badillo and Carlos Vargas. Employee X told CP that the same white CVH manager who Carlos reported as bullying him because of his sexual preference has continued his abusive behavior during the past week. Employee X reports being targeted for manufactured work rule violations by both this manager and white co-workers, a continuation of the workplace mobbing strategy that we described in the October 11 piece. He also provided details of discrimination against himself and another Latino; both have been repeatedly passed over for promotions despite scoring highly on their promotional exams. Employee X states that CVH continuously changes the criteria of eligibility for the promotion that he and his Latino colleague have been seeking, in effect creating a wall which keeps them both stuck in their current positions. Employee X identified a white co-worker who he says has manufactured charges against him in an effort to get him removed from the CVH patient unit where he is currently assigned, which would open up the position for the son of another white staff member. Employee X reports that his story was corroborated by the same worker whose son was to have been the recipient of this “favor” during a recent Office of Labor Relations hearing regarding the aforementioned alleged violations. Employee X says that he has been the target of multiple complaints by bullying co-workers, but these complaints have been refuted by a letter of commendation he showed me which was signed by several staff members. Employee X repeated Carlos’ charge that a white co-worker was recently promoted despite having served a one-day suspension which was supposed to make her ineligible for a promotion for a period of one year. I asked Employee X if he believes that racism is a factor in how Latinos are treated at CVH. “I see it first-hand”, Employee X said. “Look at what they’re doing to my Latino co-worker… They’re doing dirty things to him because he’s Puerto Rican. He was passed over for a promotion while a white employee was moved right into a cushy position by a white manager in a corrupt deal, and she was supposedly suspended for a day and should have been ineligible for that position for a year. My Latino co-worker is a nice guy; he doesn’t deserve to be treated this way just because of his heritage. We should not be demeaned and yelled at and called names by those who hold certain titles. We are people too, not trash like they stereotype us either by our heritage or our job titles.” I then asked Employee X about the recent harassment that he reported to CP. “I’ve been targeted from the very beginning. It continues to this day,” Employee X said. I asked his opinion of the CVH “morale campaign” and their implementation of mandatory workplace bullying training. Like other Latinos at CVH, Employee X considers these moves to be empty gestures. “You can’t win against the managers,” Employee X said wearily. Finally I asked him to talk about the toll that mobbing has had on his physical and mental health. “Since September 17th, 2012 the date I was hit with these false allegations, I’ve lost 14 pounds. I’m going to see my physician for Xanax, an anti-anxiety medication,” Employee X said. We’ll continue to provide updates on Employee X, who is awaiting a ruling in his OLR case. Employee Y, a Latino who works at Blue Hills, reported a similar story of abusive workplace conduct at that facility. “I’m being targeted because I speak up on behalf of co-workers and patients,” Employee Y said. He was recently placed on restricted duty due to an allegation based on hearsay. “I feel so depressed because I do a great job with the patients,” Employee Y said. “I would love to sue Blue Hills for the pain and embarrassment. I sent an email to the Latino and Puerto Rican Affairs Commission but I haven’t heard anything yet. A month ago a patient told me that one of my co-workers was trying to get him to write me up and say that I was favoring the Latino patients. I get paid a stipend by Blue Hills to provide cultural support for Latinos (acting as an interpreter, etc.). I don’t show favoritism. The patient said that this staff member was talking crazy to him and he refused to write a complaint. He told this employee that I’m a good guy who helps everyone.” Employee Y believes that this co-worker may be behind the current allegation that he purchased sneakers for a female patient. “Staff members buy stuff for patients all of the time; I’ve never done that,” Employee Y said. His claim about Blue Hills staff routinely buying items for patients was corroborated by a former Blue Hills worker. I asked Employee Y if he believes that race is a factor in his current predicament. “I definitely feel like I’m being discriminated against,” Employee Y said. I asked Employee Y for his opinion on the CVH “morale campaign” and mandatory workplace bullying training. He informed me that although Blue Hills is a CVH subsidiary, these initiatives have not been implemented there. “I don’t take the ‘morale campaign’ seriously, anyway. CVH is just trying to cover up,” Employee Y said in disgust. He talked about how the allegation has impacted him on a personal level. “I can’t work overtime while I’m on this 90-day restriction. I have a family to support. The loss of overtime will hinder my ability to pay my bills. The holidays are coming up. I won’t be able to support my family in the way that I’m usually able to do. I’ve been battling depression,” Employee Y said. CP will report on Employee Y’s situation as developments warrant. Stay tuned in the coming weeks for tips on how you can protect yourself against workplace bullying. We’ll also provide information on mental health resources. If you’re being bullied at work remember that you’re not alone. 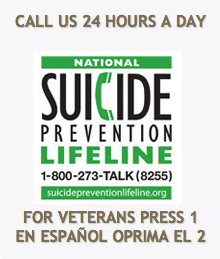 Do not hesitate to seek professional help if you feel that you need it. You can follow CP on Twitter @CommunityParty1. If you would like CP to talk to your group or organization, contact them at 860-206-8879 or samuelssloflo@aol.com. Note: this is a repost and reflects the reporting of David Samuels. There was no response to an attempt to contact the organization. This entry was posted in Guest Blogs, Hospitals, Legislation, Uncategorized, workplace bullying and tagged bullying, Community Party, Connecticut Valley Hospital, workplace bullying, Workplace Discrimination by bullyinworkplace. Bookmark the permalink. I work there too and have been treated the same way for years. This is definitely a systemic problem. We are keeping state legislators informed about all developments. We’ll keep posting your stories David to help you get the word out. DMHAS IS FUNDED TO UPLIFT AND EMPOWER HUMANS NOT DESTROY THE LIVES OF THOSE WHO SPEAK UP ABOUT INTENTIONAL DISCRIMINATORY PRACTICES. THIS CORRUPTION IN CT STATE GOVERNMENT IS PROMOTED AND LAWS ARE DO NOT EXIST FOR THIS AGENCY. SHAME! My story is being posted tomorrow. Please contact Community Partners and share my story. Govt has to stop employment violence and abuse. Lives are being destroyed.